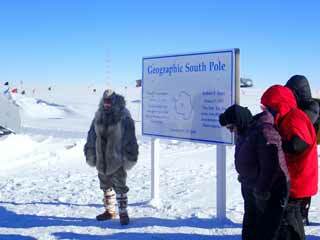 ...and a glimpse of the other side (RD). 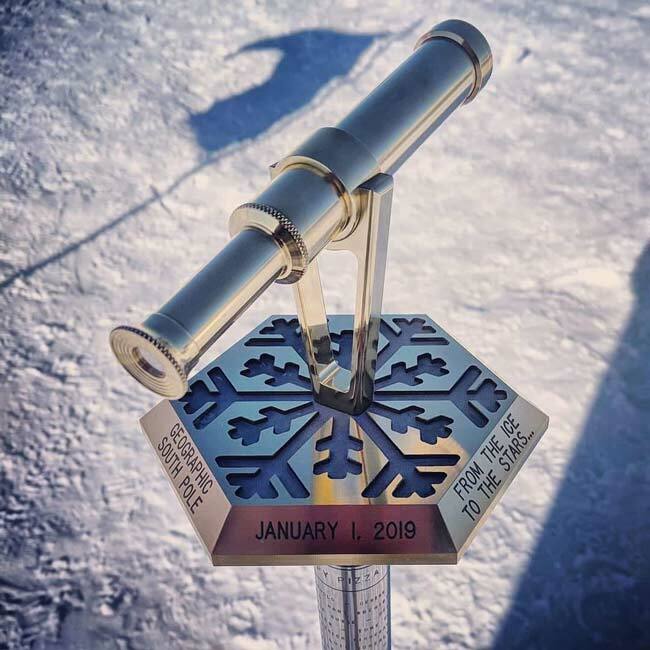 Each winter, the winterovers are invited to submit designs for the new marker to be unveiled the following New Years Day. The submitted designs are then voted on by the group. 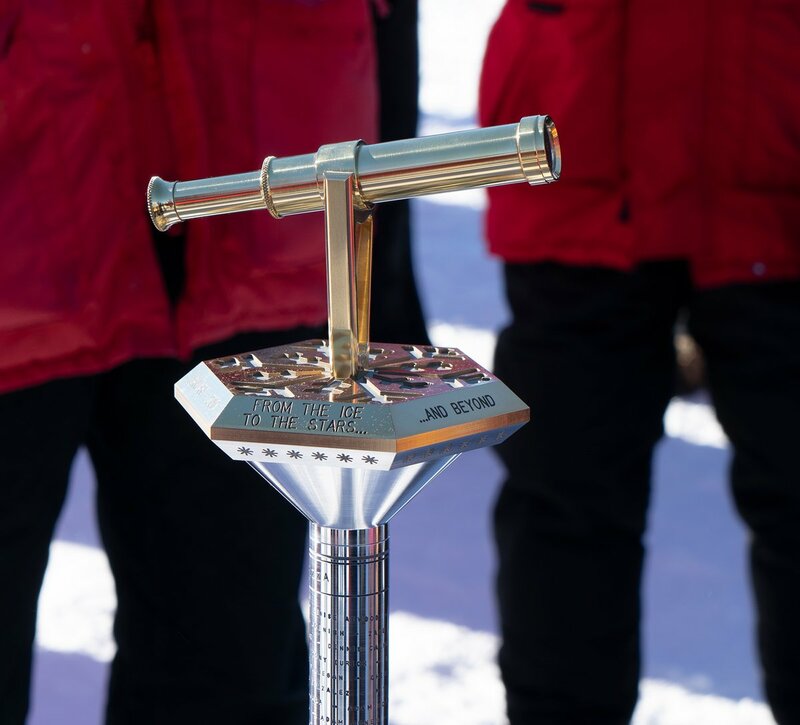 The design selected by the 2018 winterovers was created AND fabricated by Australian machinist Steele Diggles. 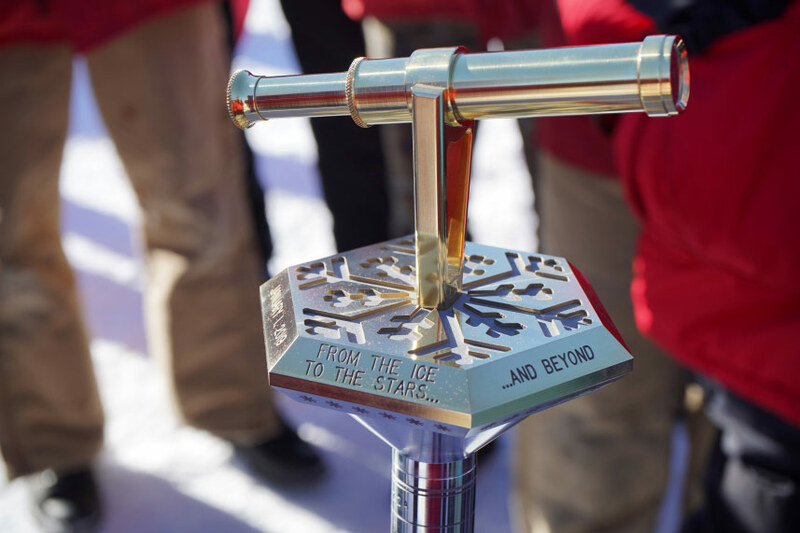 The design is inspired by the central role of astronomy and cosmology science at the South Pole...exemplified by the motto "From the ice to the stars...and beyond." 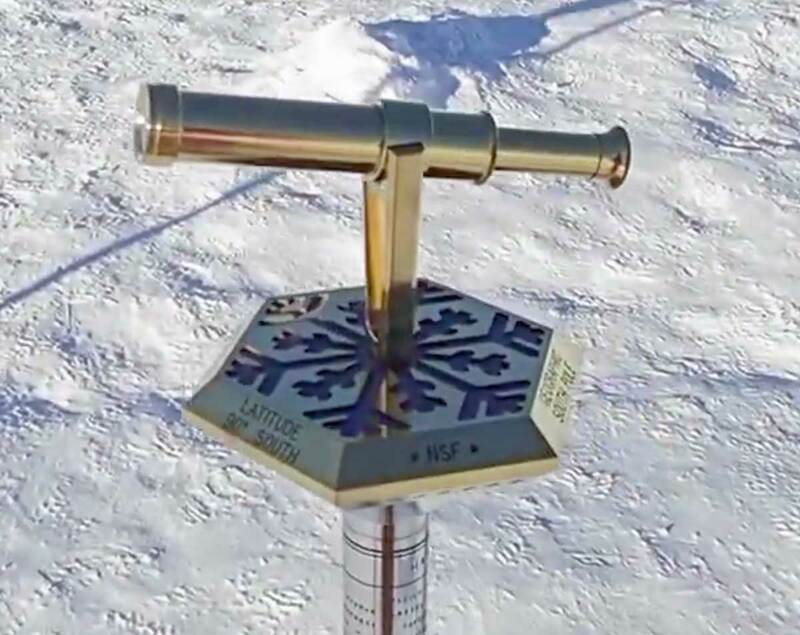 And in case you were wondering, the telescope marker is pointed toward...the telescopes in the dark sector. 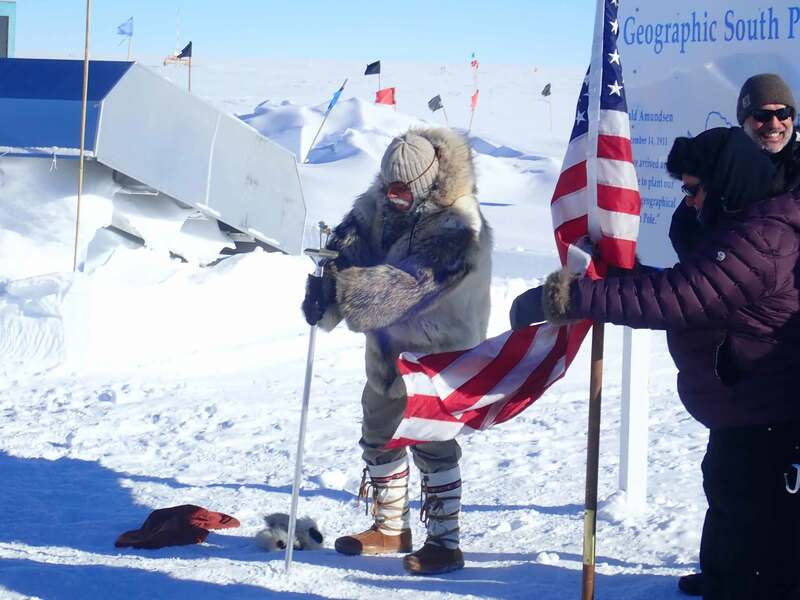 Traditionally, the ceremony of moving the marker begins with passing the new (still veiled) marker and the American flag from the 2018 marker location to the new one (RD). 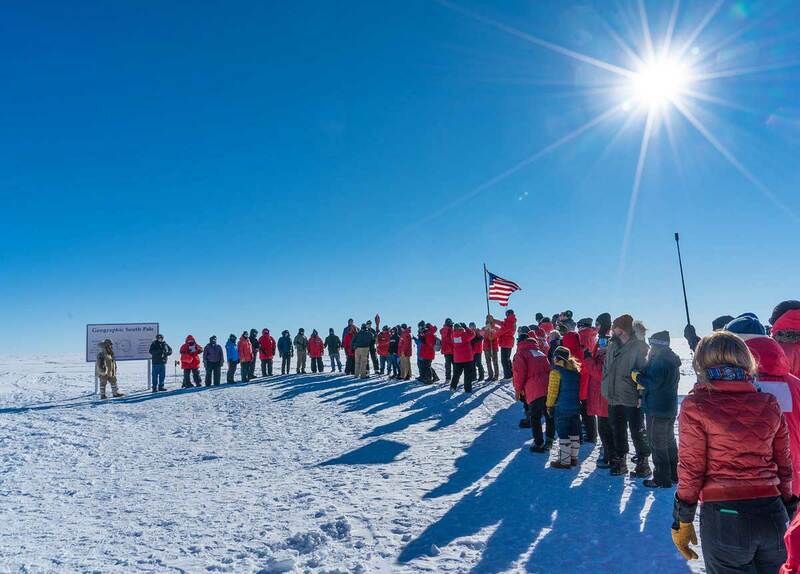 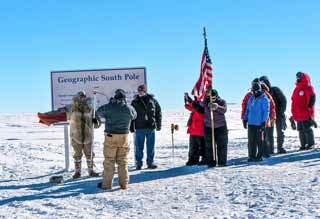 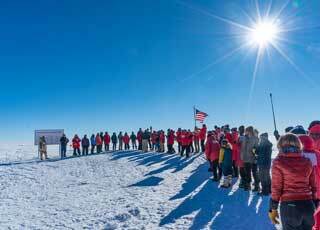 Here, after moving around a long loop of Polies, the new marker and flag approach the new location at the Geographic South Pole sign (@SPT). 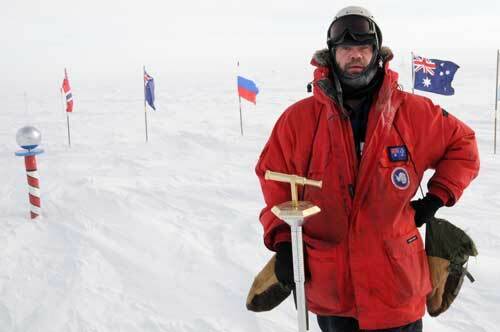 At the end of the line, winter site manager Wayne White awaits the marker. 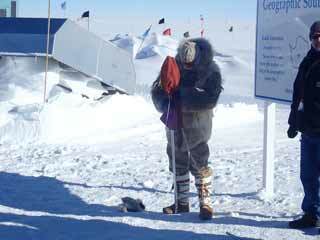 He's dressed in a wolfskin coat similar to that worn by Roald Amundsen when he showed up back in the day (RD). 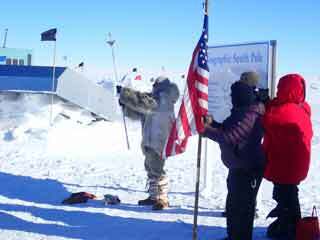 At the end of the line next to Wayne is station manager Bill Coughran. Behind Wayne is one of the air intake vents at the upwind end of the LO arch (RD). 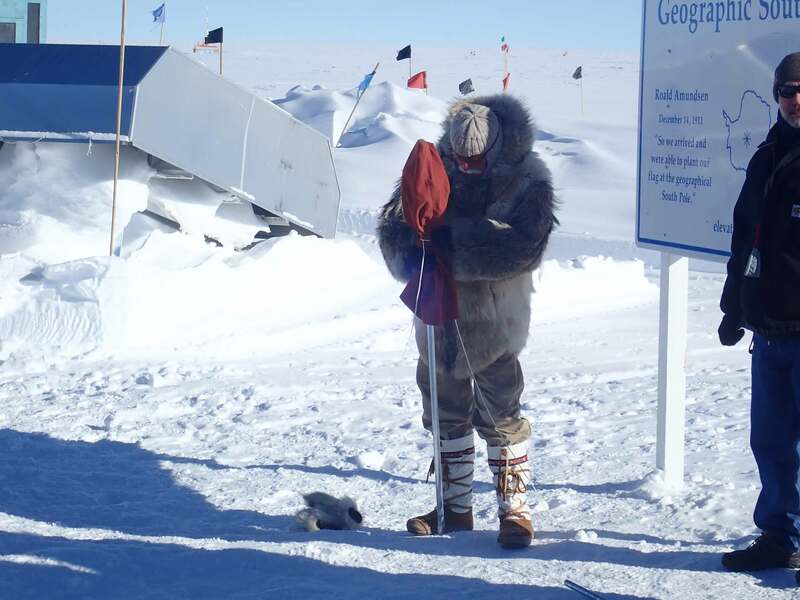 Wayne is getting ready for the reveal (RD). 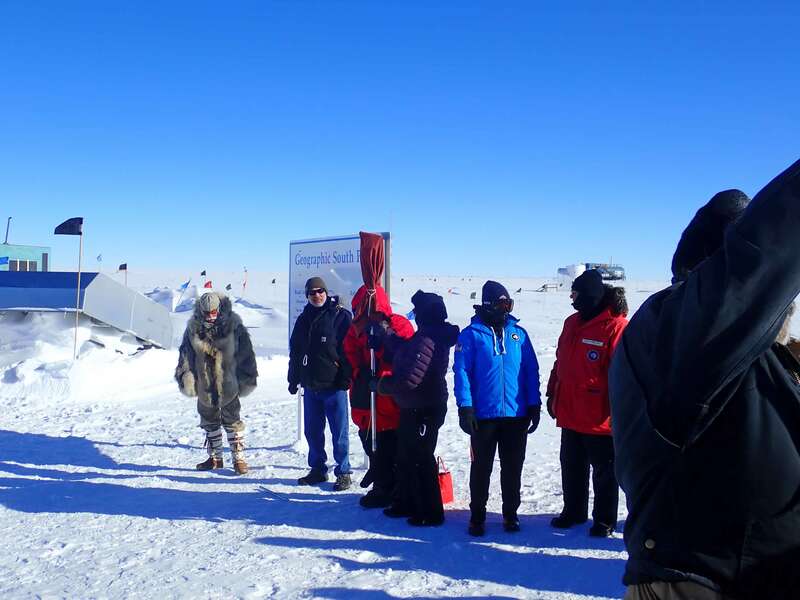 Wayne holds the marker high for all to see (RD). 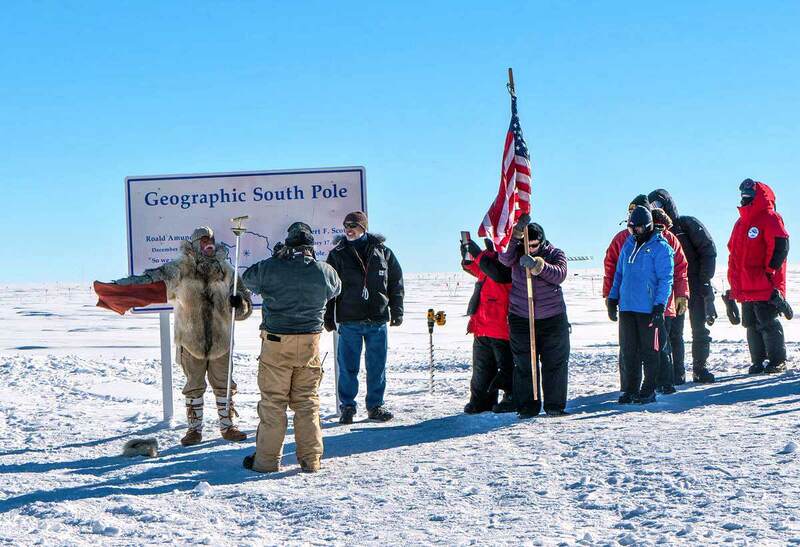 And the new marker is implanted at the geographic Pole location (RD). 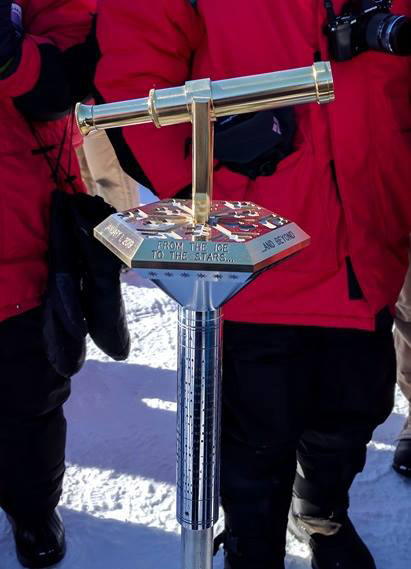 Another view of the marker...the stars represent the 40 2018 winterovers, who have signed the top of the mounting pole (KM). And one more look; this one shows a better view of the signatures on the mounting pole base (SS). One more photo...here is a late 2018 winter photo of Steele Diggles with the brand new marker...he's displaying it temporarily near the Ceremonial Pole before it would get hidden away until the new year. He's provided more information and photos about the creation of the marker...here! 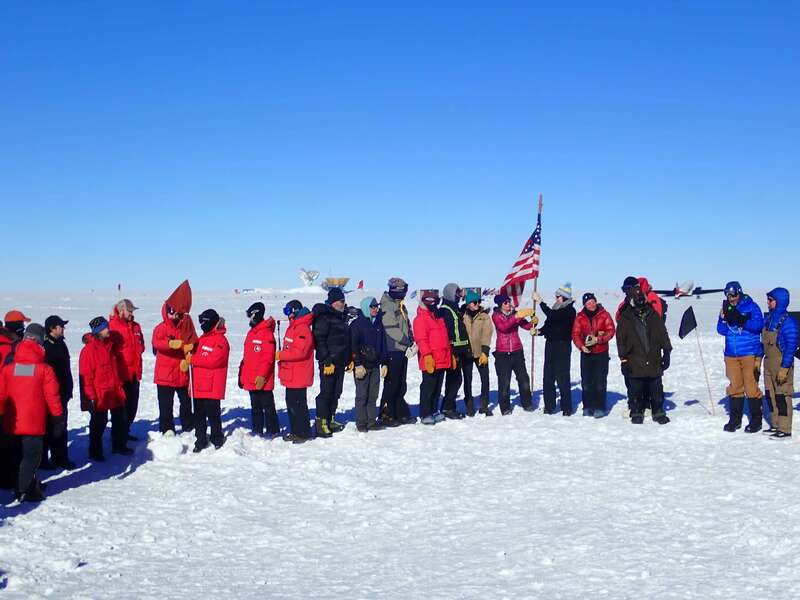 Photo/info credits for this page: RC is Rachel Cook; @SPT is @SPTelescope; RD is Ryan Dyer; KH is Kathrin Mallot (photo from this IceCube news report); and SS is Sheryl Seagraves. Also thanks to Antarctic Report for this Facebook post!